The French call these food gardens “potagers”, the English called them “kitchen gardens”, Americans have always called them “the vegetable patch”, but growing your own little plot of ground with fresh tasting produce for the table is a growing passion. And a delicious one! Lots of people think about paring their food bill by growing some vegetables in their own backyard. Some people are even moving food growing plots into their front yards. However you plan to landscape your property, why not tuck some gourmet quality into your kitchen, by way of a little vegetable patch? Veggie gardens can be quite pretty, and once you have the basics for a food garden, it may interest you to try the kind of produce that costs much more in the grocery stores (if you can even find them) then your budget may allow. In fact, some people grow their own food simply for the superior taste and knowledge that it was produced without chemicals. Whichever motivation most compels you -cost or tastiness, look over some summer garden plans for a little gourmet garden of your own. There are plenty of ways to make a productive spot in the yard. Find the right spot for your plot: sunny, with good drainage. Away from competitive tree roots. Grow heritage or heirloom vegetables, or special varieties bred for flavor and nutrition, not shelf life. Organic methods preserve the healthful qualities of your food and the environment. Invest in some equipment to make your gardening experience easier and more comfortable. Composters, garden shoes and gloves, good weeding tools, maybe even raised beds are useful components of a productive garden patch. Little gardens are perfect for baby vegetables or growing only the very best tasting varieties. Find good quality seed, and reap succulent success. 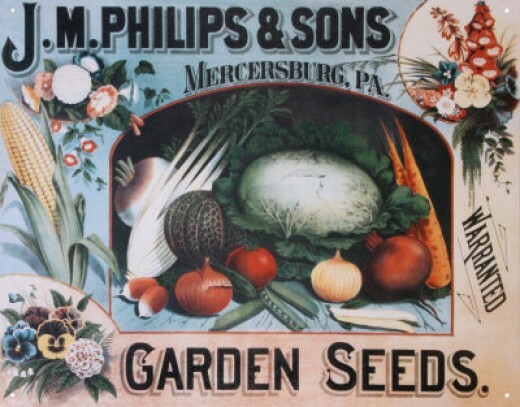 Excellent seed house with heirloom and gourmet varieties of veggies, herbs, and more. Very high quality seeds. Nothing is better than homegrown strawberries and tomatoes, so I would have both of those in my garden. (And I do!). I would have a circle bed in the center that held a tomato tepee planted with a pink Brandywine heirloom tomato plant, then fill in below with 15 strawberry plants of the Honeoye variety. Rectangle beds on either side and square beds at each end would hold the rest of the plantings. One rectangle bed would hold graduated sowings of loose leaf and mesclun lettuce mix. Lettuces grow quickly in cool weather, and you have baby lettuces coming along if you graduate the times they are sown. Rows of “Bertan’ or “Littlefinger” carrots in between the lettuces, after harvest these would be replaced with Maxibel Haricot Vert beans grown on tepee trellises. The opposite side of the circle bed, the rectangle would hold another tomato, some sweet peppers, and a zucchini squash plant, all underplanted with Italian leaf parsley. The one end square bed holding eggplants of the Chinese Round Mauve variety surrounded by dill plants and a few Johnny jump up violas, while the other square bed is filled with herbs of thyme, savory, marjoram. 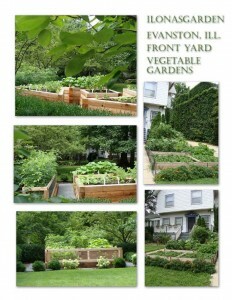 Another beginners garden plan, a starter vegetable garden is found on my garden site. 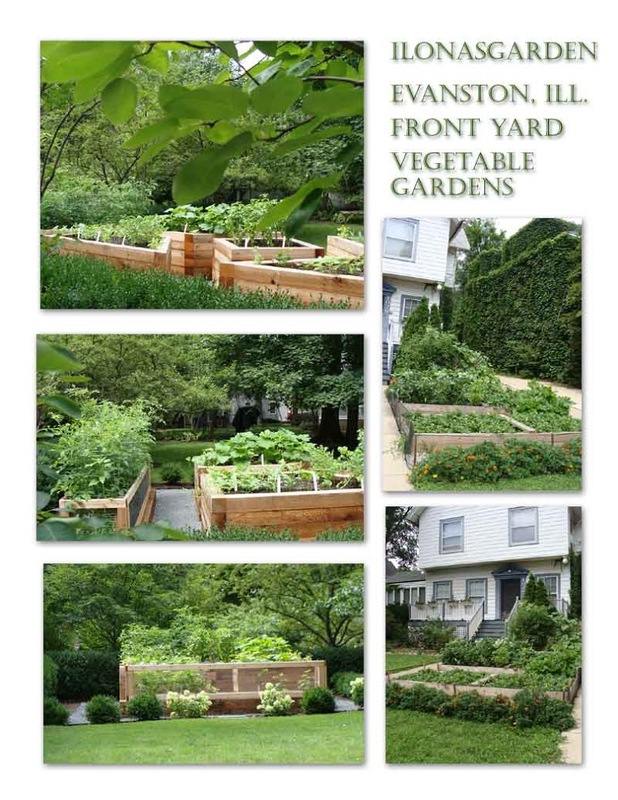 Learn about this beautiful way to make a vegetable and fruit garden. Growing food can look as beautiful as it is tasty. 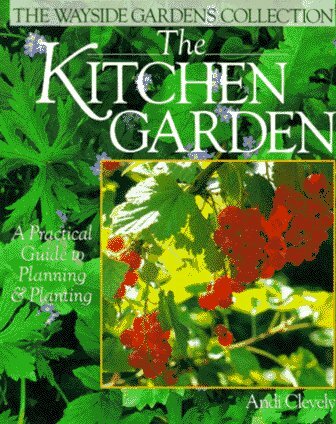 A kitchen garden how-to and history. The garden of the true gourmet. 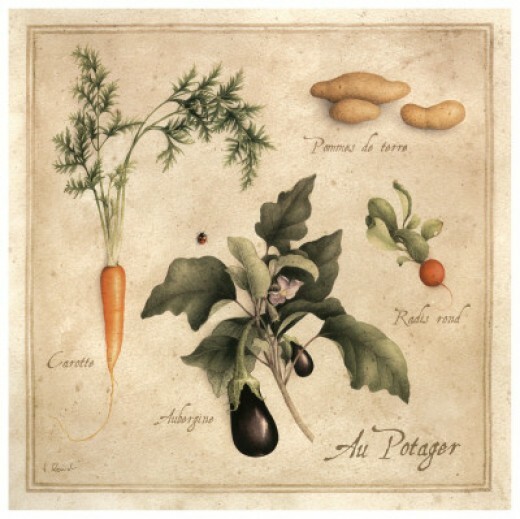 The French are renowned for their love of cooking and eating, including fresh seasonal produce. who better to look to, for wonderful gardens that combine cut flowers for the table and delicious gourmet vegetables for the table? Don’t let the fruits of your labor go to waste. check often on your plantings and harvest many of them early: baby lettuces, zucchinis, etc, are often the most delicious. When you want to supply your kitchen with a gourmet mix of tasty vegetables this is the selection to buy. The greens are easy to grow and nutritious, some of the selections are veggies that taste best when harvested from your own gardens. Marigold and Nasturtium flowers are important companion planting additions. 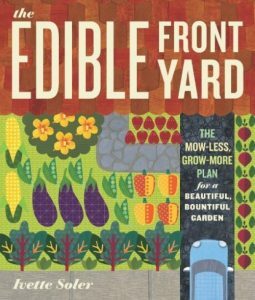 Want to Grow Exceptional Tasting Food? A video on growing some special foods for yourself. See the great “organza bag tip” in the edible landscape video. 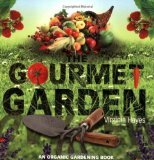 What’s in a Gourmet Garden? With today’s information you can have skills and know-how right at your fingertips. It has never been easier to have a green thumb. There are a few tricks of the trade… one is to rotate your crops each year. See the tips on that technique on this page. Another is the use of companion planting techniques to help plants stimulate each others growth and repel pests. There are lots of combinations which both help and hinder each other. The use of companions can range from helping to stimulate growth to serving as a “catch crop” for destructive insects such as aphids. Adding the “Gourmet” to garden usually means varieties that are tastier, more tender, and meant for earlier harvesting (baby vegetables). Slightly unusual types which have special flavor qualities, like Thai Basil instead of simply “Basil” create your own supply of high quality ingredients for flavors that wow your palate. Look for “Heirloom” varieties for superior taste, as well. 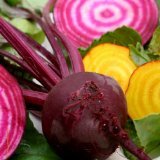 Beets are especially easy to grow, and you can eat both the roots and the greens. They are nutritionally dense with plenty of folate, a unique source of phytonutrients, and the greens contain lutein, which is good for preserving eyesight. The best varieties for delicious greens in your salad bowl. Colorful and nutritious. Why pelletized seed? It makes tiny seeds much easier to plant. and growing your own greens couldn’t be easier than this. 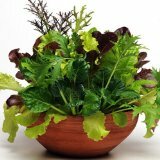 They provide tasty salads full of nutrients, ready from the garden in a regular supply. Baby greens quickly grow and are ready for eating as you thin out the plantings. Improve the soil with natural, not chemical fertilizers. Bone meal, blood meal, cottonseed meal, green manures, and many more. And yes, compost. Use companion planting and timing to help thwart pests and disease, and help plants thrive to produce. Mulch, cultivation, and other means to conserve moisture, and lower plant stress. Find solutions to pests, using beneficial insects, soap and pepper sprays, and other common methods. 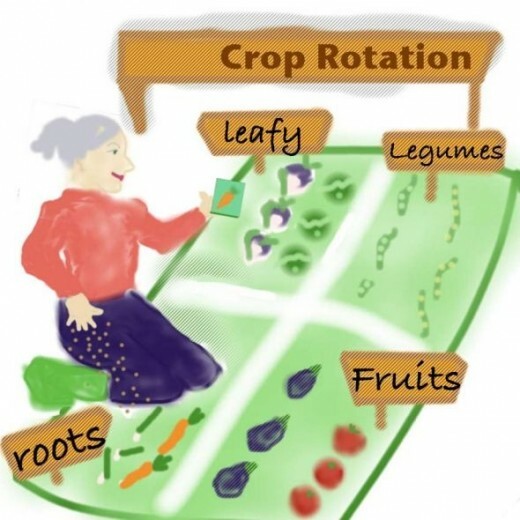 Crop rotation is a tried and true way to productively plant vegetables for good results. You can begin in August and extend through September for a second crop. Broaden the horizons of your kitchen with yummy Asian veggies. Chinese cabbage, aka Nappa cabbage, is a cool season crop which means that it will bolt during hot weather. 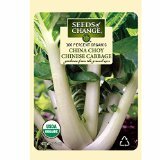 Consider it for your late garden (second sowings or fall garden), planting in August for Zone 5 (here in Ohio). Easy to grow, it likes to be manured and given regular moisture. The plants are frost resistant, ready to harvest in 50 – 85 days. Crop rotation cuts down on pests and plant diseases; it helps replenish the soils nutrients. Rotating crops in the simplest form means simply not growing the same kind of crop in the same place twice in a four year cycle. Plant are grouped as to types according to their needs. There are leafy plants like lettuce, root crops like carrots, fruit crops like tomatoes, and legume crops like peas. Leafy crops need nitrogen, legumes put nitrogen back into the soil. Fruit bearing crops need potassium, and root crops need potash. If you have a schedule of changing the crops, there is less chance for insect pest damage, and it gives the soil time to recover fertility. 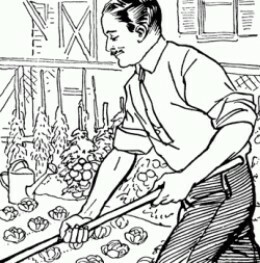 How to grow your own gourmet produce in your garden, greenhouse, or even in a window box. From baby vegetables to herbs, fruits, mushrooms- just all sorts of things. Trellises train plants upward and are a great way to grow more produce even if you are short on space. Beans, tomatoes and melons may all grow on trellises. Grow your own fresh herbs with this high quality mix. Heirloom selections are sometimes the most flavorful. I’ve started growing more heirloom tomatoes for the past couple years. 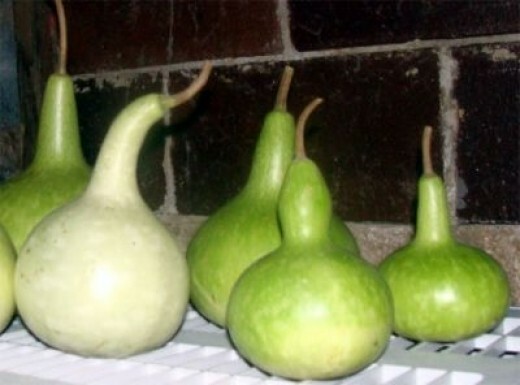 This is one fruit you probably can’t find in a store, and they are pretty easy to grow. Try a row of these diminutive berries for a taste treat that will have you looking forward to their appearance each year. Compost is simply rotting organic material which helps create humus. Ever seen dark, rich, crumbly soil? It likely had a lot of humus in it. To make compost is quite easy, but there are many people who favor certain methods…some to get quicker results, some to get more plant nutrients. If you decide to collect kitchen scraps, you might want a small covered pail to keep smells to a minimum and neatly store. In a small yard a composter saves space, and it can speed up the process, turning the contents with ease. Or you can make a pile in an “out of the way” place in the yard like I do. However you make compost, be sure to add it to your vegetable garden for increasing the nutrients of your harvest and improving the quality of the garden soil. Charcoal filter reduces odors. Stainless steel means great looks and easy clean-up. 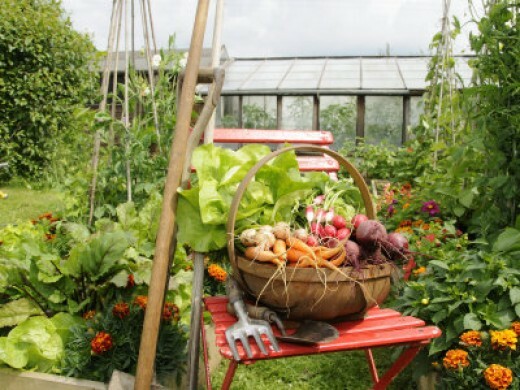 A Kitchen garden is simply a garden dedicated to keeping your kitchen full of fresh grown food. It can have fruits, vegetables, herbs, all growing together in happy harmony. The choice of what to grow is yours. All that is needed is plenty of sun, good soil, and ready source of water when it’s needed. Don’t skimp on preparing the soil and keeping it in good fertile condition because that is what create good healthy plants, nutritional components of the food produced and flavor. Compost is a great amendment to your soil, and a good way to recycle kitchen wastes. Read more about composting in the “Cheap Gardening” lens. If you use raised beds it will be easier to keep the soil in good tilth which contributes to better seed germination and carrots that grow straighter, etc. When we moved out to the country, we had to have a tiller for the large vegetable garden I put in. We had a back tine tiller after our front tine one went kaput. These were good quality machines with Briggs & Stratton engines. But they had to work hard. Besides, they were Behemoths, and while I was the main one to use them, and manhandled them into submission, now that I’m older I appreciate the ease of use of the one I have now. I finally bought one of these tillers- I wish I had started with the Mantis from the beginning of my garden career. I finally got one of these Mantis tillers. I wondered why I had waited so long! Don’t make the same mistake… these are really handy -especially if you are going to grow a food garden. Are all those tools worth it? Like your kitchen, a garden is something of a factory… a workplace. That is why there are special tools involved, and not just the hoe, spade, and trowel. Whatever keeps the soil productive, solutions to eliminate pests and diseases, ways to keep produce in good condition, clean-up, these are all parts of an efficient space. We don’t usually think of it this way, and sometimes wonder why all the bother? Why should we grow our own food – buying equipment, sweating, and expending hard earned coin for something we could more easily pick up in a store? I think the answer is in the importance of good health. Preventive care through good nutrition is now more important than ever. Rising food costs are increasingly of concern. And then there are some of us who really care about food tasting delicious and fresh. All those concerns are reasons to grow a gourmet garden in you backyard. Footwear gear can be a great investment in utility and comfort. Sometimes you want a waterproof shoe to walk around a rain-drenched mucky soil or trod through the pathways still wet with dew. Something that is easy to slip on and off, and sturdy enough to put some heft into digging with a spade. This is the shoe you are looking for- it will be your favorite garden footwear. One of my favorite purchases has been a pair of these garden clogs. 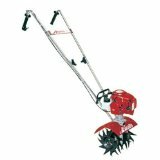 They are easy to slip on and off, and you can use them when tilling, walking in a wet garden, or just anytime. 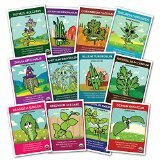 Add to your garden patch… – Grow transplants. 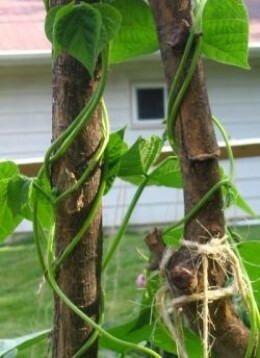 One way to give more space to the garden is to use trellises or some other structure like a tuteur to direct bean vines, squash vines or tomatoes upward. Certain nasturtiums will climb, too. A vertical area not only saves space, but gives visual interest, too. 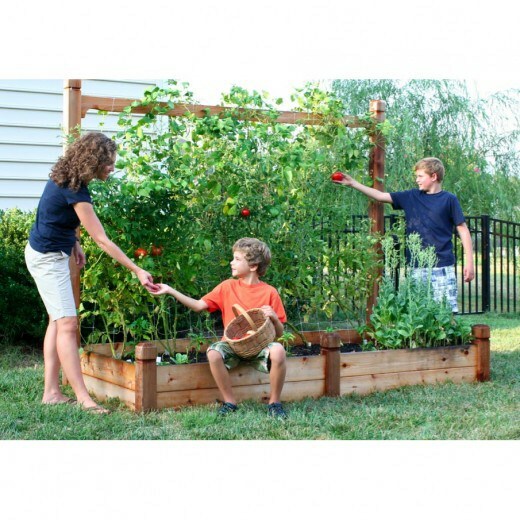 Tomatoes, Beans, Squash, and Melons are some of the most common plants to grow on a trellis. 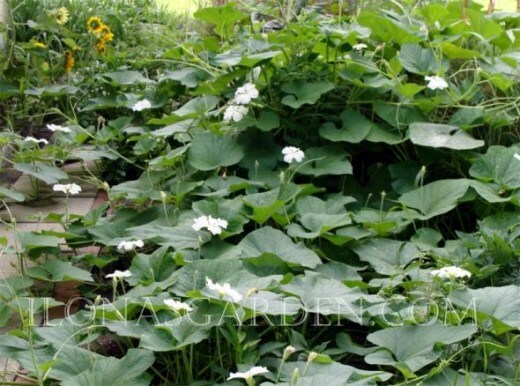 These plants vine or tend to spread far and wide on the ground. Tie them up to a support, perhaps cradle the growing fruits and you will find this is a great space saver that improves fruit quality and makes it easier to control the plant (and find the fruit). Garden Tuteur for beans, melons, cucumbers, or flowering vine accent. Plus, structures like this make things pretty. Yes, just for the sheer beauty of it, we add garden ornaments to our yards, so why not make them useful AND pretty? You can build your own, look for them in garden centers or order them from Amazon right here and now. But get growing up off the ground and discover what a great tip this is. You can make your own plant support, but a metal tuteur will lend elegance with sturdy support for your climbing nasturtium or melon vine… or a Heavenly Blue Morning Glory! Vertical gardening doesn’t support itself- you need to provide the framework.But the reward is better vegetables, up out of the reach of many pests. To grow vertically in space saving method or to keep squash and melons safely off the ground, this netting can be used to support your precious harvest. More people are growing vegetables in their front yards! Fruits and vegetables can be grown in your front yard and look like a colorful garden landscape. Like fruit? Why not a cherry tree with a cloud of spring blossoms and a crop of ripe red cherries in June? Need some groundcover underneath? Strawberries will tolerate the part shade. Line a walk with marigolds, border the sideyard with nasturtiums, make a patchwork of lettuce and herbs with areas of Swiss chard and kale for contrast. Blueberry bushes are pretty if you have the acid soils they like, and raspberries can be trained on a fence. Bush beans grow low with attractive leaves, and some herb plants alongside give subtle colors with their leaves and blooms. Walk out your front door to harvest something for your meal that evening, what could be more natural? 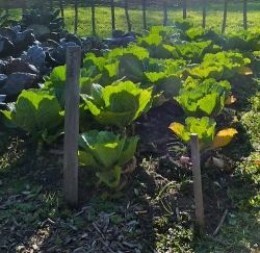 Front yards can be used for food gardens. when you use decorative herbs, and ornamental supports such as well made tuteurs, the front yard food garden is beautiful landscaping as well. Many of the best crops are harvested young- some are smaller sized and can be grown in containers. Use your containers for exotic peppers, or a variety of herbs. Even a balcony in the city can hold the makings of the best Italian sauce: Roma tomatoes, oregano and basil, even onions or shallots if you want them. Give color and fresh taste with edible flowers. Some may have been growing in your yard all along, and some, like squash blossoms are just a different way to eat a food plant. Watch the video to garner great tips on the best way to grow and use blooms to garnish your plate with taste and color. Pretty white blossoms turn into gourds to paint and shape into crafts. 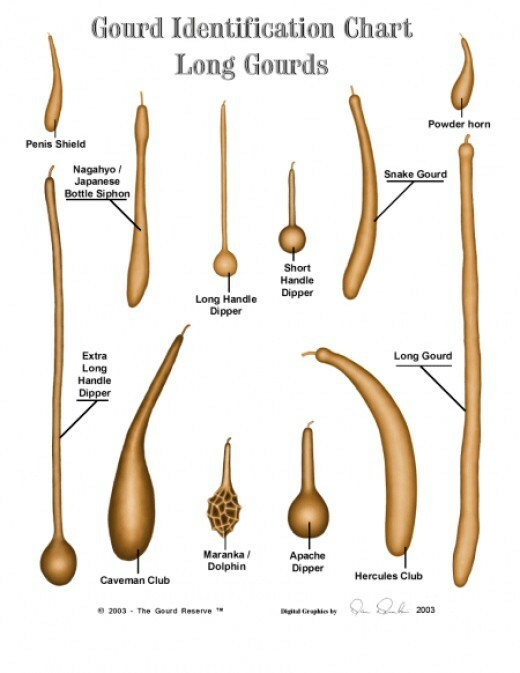 Gourds are easy to grow. And besides being easy (which makes them a candidate for growing in a children’s garden), there are lots of things that you can do with them if you love to craft and decorate. The main thing that a gourd plant needs is SPACE. If you have limited space, no worries mate, vertical gardening can be an ideal way to grow all the gourds you could desire. 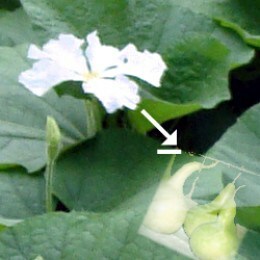 White Flowering Draws Moths Pollinated mainly by moths and other night insects, the blooms of many of these squash family plants are often white and open at dusk. They have an unearthly beauty. I decided to grow one specific kind, the birdhouse form Lagenaria, during one growing season. It turned out to be so fruitful that I ended up with enough dried gourds for years of decorating (maybe you won’t take as long to finish your projects, but the harvest was great). If it is before June, in Zone 6 and lower, you have time to grow your own from seed. Or make your plan for next growing season. If you are interested in growing gourds and turning them into fun projects like gourd art, birdhouses, or even musical instruments are on the final leg of the gourd discovery tour at the bottom of the page. You can start the seeds indoors if you like. I started mine directly in the garden, planting according to directions on the packet. Use 10-10-10 or 10-6-4 fertilizer once plants take off. Keep in mind that these plants are warm weather plants which should not be planted out before the last frost. They will grow best when the soils are warm. Humid, hot days and warm nights suit the gourd family just fine, but they can be subject to some diseases and pests. Mosaic Virus and Powdery Mildew are two of the worst, most prevalent of the diseases they can get, and those problems can kill a crop. With Mosaic, which is a plant virus, but be sure the mottled foliage is not from an application of insecticide, which can mimic the problem. Prevent Powdery Mildew by using the vertical garden methods which will increase air circulation. (Mildews are promoted by stagnant, close conditions). Hand pollination can improve fruit set. Ready To Try Growing Some Amazing Varieties? Renee’s is a reputable seed house company that many gardener’s rely on. I love the selections and have always had good reults, so I am very confident in recommending you buy your seeds from Renee.This packet will provide you with a selection of shapes that you may use in traditional ways or as a canvas for art projects that can be anything you imagine. This is the perfect plant for a child’s garden because it is easy, and provides fun projects that kids love. The large plants are exciting to watch grow and gives a real feeling of accomplishment come harvest time. Other ideas for creating a Child’s Garden. Cucurbit plants (cucumber and melons included) take up a lot of space, and you may want to plan for that at the outset. If you do not wish to allow lots of garden space for gourds, consider vertical garden ideas. One of the best things about vertical gardening, besides its space saving feature, is the way the produce is at eye and picking level, as well as kept clean. Get your vertical support ready before you plant the seeds. As you can see- a trellis is good for tomatoes, too. Consider using vertical growing ideas not only to save space, but to keep the fruits from damage. In English vegetable gardens it is not unusual to see netted cradles holding the cucurbits, no matter what variety they are. I think those nets are more practical for heavier fruits such as melons, but have seen them used for courgettes. I grew the Lagenaria on the ground because I wasn’t prepared for the spread of these plants. Just a few plants took over the entire vegetable garden that year, so I would definitely recommend using a trellis or support of some kind to grow the vines upward. While the frame and trellis outfits work extremely well, if you have a fence, especially chain link, you can use that to support the vines. Netting strung between sturdy posts would also work. Use the following charts to see the wide range of types that you can plant and use for many different purposes. All may be grown in vertical ways, or if you have the room, along the ground. Many people like to start the Cucurbit family indoors. What is this plant family? All those of the squash and melon family are included, as well as the gourds. Find out more about their family,Cucubitaceae. Like starting any tender plants inside, first plant the seeds in moist seed starter soil ( regular potting soil and certainly outdoor soil is too heavy and might cause rot). Once you begin seeing little leaves, lightly fertilize and keep in a well lit space. Harden off the plants once you near the frost-free date. Plant your seedlings outside in the garden in good garden soil after all danger of frost is past. Your own pots can be easily made using origami techniques and old newspapers. How to make your own paper pots, illustrated tutorial. There is even a small form available to ease the chore of making many pots. Source: Secrets du Potager Paper Pot Maker One of the benefits of using old materials to make your own pots is that by recycling you are being environmentally green. Not to mention that it is a frugal step that saves plenty of money to use in for other gardening projects. Use egg cartons, or pots made of wrapping paper tubes, cut in 8″ lengths and lined with newspaper circle. Be sure to fill your seedlings pots with good growing medium. It is not money saving to scrimp on soil that is sterile and of the right ingredients to give your new plants a good start. Regular garden soil won’t do. It is too dense, and has organisms that can contribute to the demise of your new seedlings. Of course you can (and many gardeners do) mix your own medium and go through the process of sterilizing it yourself, but that is more labor intensive than many have the time and energy for. The following available mixes are good for your plants, and are easy to obtain and use. That means you. You can grow these veggies easily, and this guide will give you all the tips. Guidebook for those who are serious about growing and crafting with gourds. You can take hours poring through hundreds of online articles, or you can get this primer and get started right away. …and loads more including lists of suppliers, a growing calendar, and space for notes. Easy to grow with large seeds and fast germination rates, but need a long growing season. Literally, grow skyward and let authors Rebecca Sweet and Susan Morrison guide you into all sorts of ideas and landscape solutions which involve vertical gardening. Perfect for putting gourds into your garden. 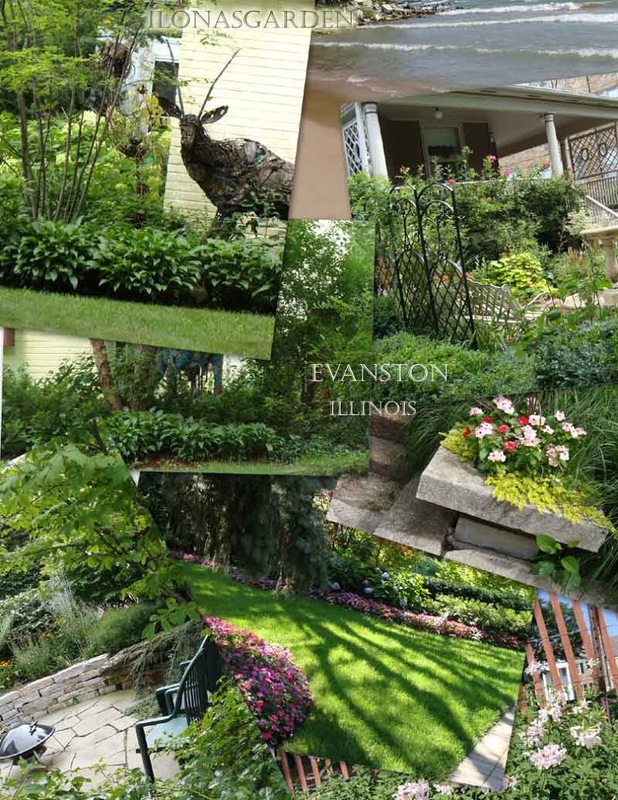 Urban and suburban gardens don’t always have the extra space for plants such as the gourd family, but this book provides plenty of landscape inspiration and creative ways to include more plants in more ways than you may have imagined. Gourds can be beautiful.Sometimes in their own right, but this fruit just begs to be decorated. Plenty of craftspeople and artists have answered that plea, and you would be astonished at the gorgeous art that starts out as a humble gourd. 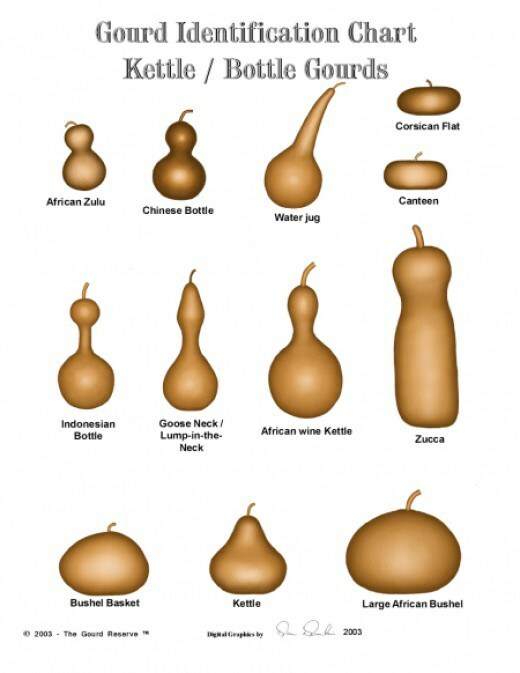 One of the places I discovered how many truly beautiful artworks that people create from lowly gourds was on Pinterest. I was already aware of the useful projects, like simple birdhouses, and decorative displays of them (my mother always had some dried and varnished gourds in a bowl because she loved Autumn colors). I also had taken quite an interest in the painting that is displayed in the Kentucky Artisan shop off the highway in Berea, Kentucky, but until I saw the splendid works of art online I had little idea of the intricate and ingenious ways the gourds can be embellished. How can you decorate a gourd? A sweet, very easy way to use your gourds for garden art is to make fairy houses. I saw a number of these cute and creative little homes posted on Pinterest boards and thought that this would be a great way to combine growing gourds with other parts of a garden plan. Create fairy gardens and a community of houses made from this material. As utility containers they can be used as ladles or birdhouses, bowls, or bottles. Many love them as fine art canvases or sculpted pieces. You grew your gourds, made your birdhouses, and now what? Invite Purple Martins to your yard! Purple Martins are premier mosquito and insect eaters. They love to have “apartment complexes” and this is a great way to use the many fruits of your labor. Make a birdhouse for purple martins. Hang the gourd houses at least two stories up. Purple Martins like to live on high in the middle of the yard. One of the best, and most useful, how to books on the art of carving a gourd. You will be amazed by the many ways that people turn gourds into true works of art, and here are detailed instructions needed to make your own artistic carvings. Wood Transfer Paper: Used For Tracing Designs Onto Wood (8 Sheets – 18″ x 24″)If you special designs and don’t trust freehand, or if you need pattern guidance for burning or carving, this transfer paper is necessary for good results. One of the best tools to have if you plan to do a lot of burning designs into surfaces like wood or the Lagenaria squashes. Woodburning with one of the best tools available gives superior results. Proxxon 38530 Super Jig Saw STS/E>Most of your projects will benefit from this saw. From cutting out the holes of a birdhouse to carving intricate decorations, this tool will be indispensable. 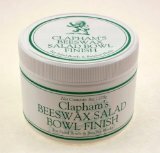 Clapham’s Beeswax 870-3008 Salad Bowl Finish, 8-OuncesTo polish the surface of your finished creation. Be sure to see the other gourd preparation videos in the series. How to saw and prepare a gourd for crafts. Directions for drying gourds and making a gourd birdhouse. 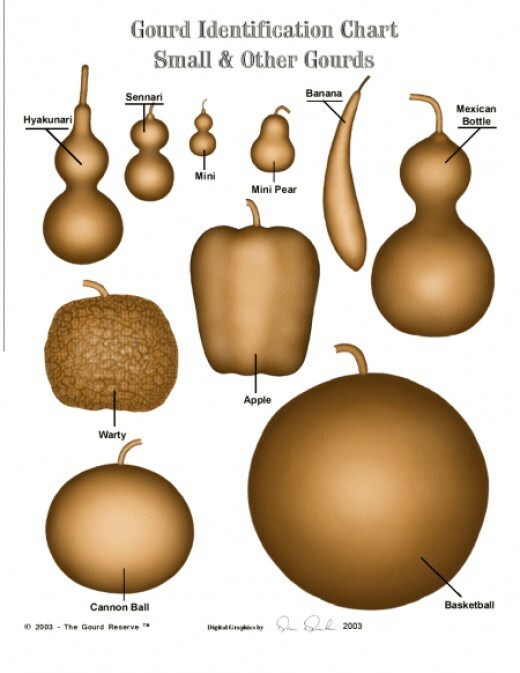 Online information about the North Carolina Gourd Society, Alpha Chapter of the American Gourd Society. PDF makes printing out the info easy. Growing guide for New York is useful for most states of the North USA. California Gourd Society invites artists to participate in classes, events and festivals. Ladle out your comments here, let the little birdie speak, spoon it on thick, be crafty about it, burn it into our brains, and carve out a place for your thoughts… in this space. Originally published by Ilona Erwin 02/09/13 on Squidoo. If you weren’t convinced already, the truth about your store bought, commercially grown tomato is out and being broadcast. If ever there were a plethora of reasons to grow your own tomatoes and patronize your local farm markets, and groceries that carry locally grown produce – it is now. The word is out on what many of us have known, not only do commercially grown and shipped tomatoes not taste good, they are not good for your health, either. This year I grew some heirloom tomatoes, and while it was not a banner year for my produce garden, there are those who have had better luck and they supply the markets, and at this time of year anyone in my area can get deliciously tasty, juicy tomatoes for their favorite recipes. I love BLT’s, Margarita pizza, fire and ice salads (made with fresh tomatoes and cucumbers!). And what is that grilled hamburger without the fresh tomato slice? Well, during winter, when only the store bought tomato is available it may be time to skip the tomatoes and learn to eat in season. Get the best, most flavorful tomatoes you can lay your hands on ( hopefully right in your own garden) and slice them up. Add scored and thinly sliced cucumbers. Arrange them attractively on a plate. Make a garlic infused vinaigrette or just splash on some good old Wishbone dressing. Serve and enjoy- what is simpler or more pleasurable at the end of summer? Early in my “guest” period on this blog, i wrote about my back-killing efforts to plant more asparagus, and the perils of the monsoon rains and mud for weeks, thereafter. some tiny plants made it, but i must re-plant over half the bed. it is getting a bit hotter here, and will be in mid-80’s in may. VERY grateful it is already dug out, well prepared. i burn easy. my “old” bed (planted 22 yrs ago- they can produce for many, many years) is 3 weeks or so into its peak production, and will continue to bear for another few weeks, before the emerging spears reduce to pencil size. at that point, the roots are exhausted, and they must be lightly fed and cut no more. use any gentle organic fertilizer, higher in phosphorus and potash. better yet, compost- and then allow the actual plants to grow out, undisturbed. feed the roots for the rest of the season. asparagus is actually an ideal garden crop. it has a clear season and cycles, and once well-planted, requires minimum maintenance. as a market crop, i think “artisan” asparagus (organic, lovingly hand-tended, raised on well-built soils with fine mineral content, and with greatest flavor) are green Gold! Some points and tips for asparagus culture: SO Sorry!! read parts#1-5-4-3-2 for continuity. writing straight out of my head can often be disorderly, and changing large chunks of text is beyond my feeble e-skills. perhaps friend ilona can fix/edit it…hint hint. 1- preparation of the bed is 3/4 of the work. plant in double-dug ditch about 2’deep with plenty of compost and or other amendments worked well into the bottom section. keep a lower nitrogen/higher phosphorus/potash ratio. kelp meal works well or bone meal, as does aged manure or alfalfa pellets. it is the main”secret ingredient” for a prime crop of strong spears. asparagus roots respond very well to yearly ash applications, up to several inches deep. the first one goes on very early–here in middle ga in late january– in still-winter cold. directly on the snow and thawing weather will slowly wash it in. the other ashing is best done in late fall, after crunching down the dead stalks. all winter, even as strawlike and bone-dry dead as they appear. 2- mulching asparagus keeps weed competition down; the surface protection keeps soil moist and easy for the fragile tips to penetrate. apply a good mulch after the fall ashing. light texture mulch is better than heavy rotted, even fall leaves mat too heavily, but work ok if mowed or chopped in a shredder. asparagus roots are deeply planted and survive well-protected during even the coldest winters. an earlier crop. enjoy! beware of a late-frosty night, though. their tips can get nipped and the new spears shrivel. leaving the bed mulched, as usual, delays and extends the harvest another couple weeks. it depends on what you want to do with your crop, sell it in bulk bunches all at once, or enjoy it at your leisure. a gourmet delight in abundance. it is easily put up and pickled. spicy dilled asparagus pickles are so good they will make you “slap yore grandma”….. a southernism which conveys the meaning very well, if granny was truly a consummate country cook. another plus, the cut spears are long-lived and hardy; they keep in excellent condition-with no real flavor loss, in ziploc bags for a week or more, if you need to save them. 3- care and cultivation: in spite of being very deep rooted, asparagus requires adequate water supply throughout the entire growing season, especially with our ongoing drought conditions here in the south. i water infrequently, a good long slow soak. if you have chosen to rake off the spring mulch, it can be re-applied or added around the small spears growing up, post harvest, but must be very carefully tucked in. new ferns, don’t disturb them with mulching at that time. during those( infrequent) high-stress conditions. (crowns spread in size as they mature over the years). arrange roots carefully around the crown sitting on top of the mound, they should never lie above crown level, arched slightly below is best. carefully place soil around the spidery thick roots, tucking and lightly firming with your fingers so they are well set with no air pockets. keeping a good eye on the actual crown level, and partially fill in the ditch with the prepared dirt. the ditch row should be about half full, with crowns just at or below the surface. let the next good rain wash them in. if needed, add a bit more soil to keep the crowns barely covered and the warming sun will soon cause tiny sprouts to show you that their roots are well established and active. over the next week, gradually add layers of soil as they grow, until ditch is filled or slightly mounded. mulch well, using lighter materials , like old hay or wheatstraw, so as not to break their tender necks. 5- plants: the newer all-male hybrids are far superior in their bounteous harvest of spears. they expend no energy on the seed/fruit process thus giving better crops. growing roots.) full production of larger stalks comes in 3d planting season, and spears increase in size with age of your bed. the giant grade or 3 yr. roots are pricey…. they’re for for the immediate-gratification types. one-year roots are cheapest, you can buy lots more but you must wait 3-4 years. 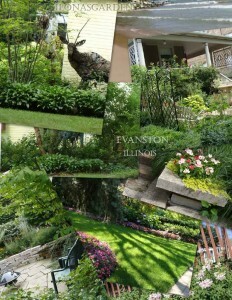 it is up to you and your garden budget. just remember this is an extremely longterm investment! it is more like planting fruit trees. 20 plants provide enough for a family for the spring season, but you and your friends will soon be hooked. more will be put in the ground, i promise… if you can get some digging help with bribes of bunches of the new crop, so much the better. Mrs. Witman’s white asparagus was always an extremely welcomed and prized gift! awaited each childhood spring, created my lifelong asparagus passion!